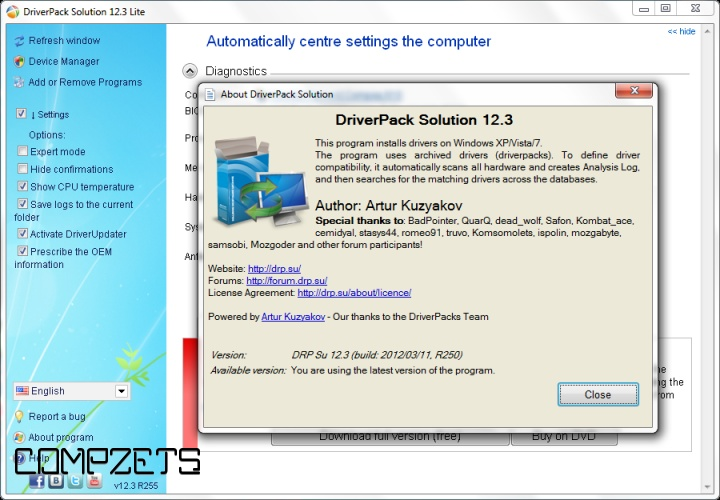 DriverPack Solution 12.3 Lite - a lite version of the most powerful manager for automated driver installation. Scans your computer hardware and offers a download from the Internet unidentified driver. Quickly, efficiently and completely FREE! You can search for drivers for any PC/Laptop through their site. 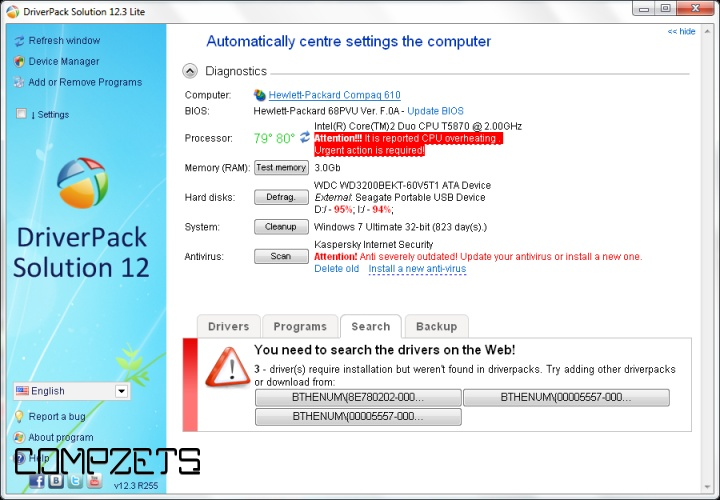 DriverPack Solution Lite is a handy and reliable utility designed to identify missing or out of date drivers and to search them online. DriverPack Solution Lite also allows users to perform regular backups of the drivers. That way, you can go back to a previous state if you encounter problems. Are you tired to search of a suitable driver for your Desktop or notebook ? Have you problem finding drivers for window based PC ? If yes ,then Driver Pack Solution 12.3 is one stop solution for all your driver needs.It has a large collection of drivers for your Dell,Acer,HP,IBM etc based PC or notebook. Automatically scans your computer hardware and offers a download from the internet unidentified driver. Quickly, efficiently and completely free.It require internet connection to search and download the driver.It is small in size. Automatically scans your computer hardware and prompts you to install / update the drivers for all devices in Offline. Quickly, efficiently and completely free.It doesn’t need internet connection.It is large in size.